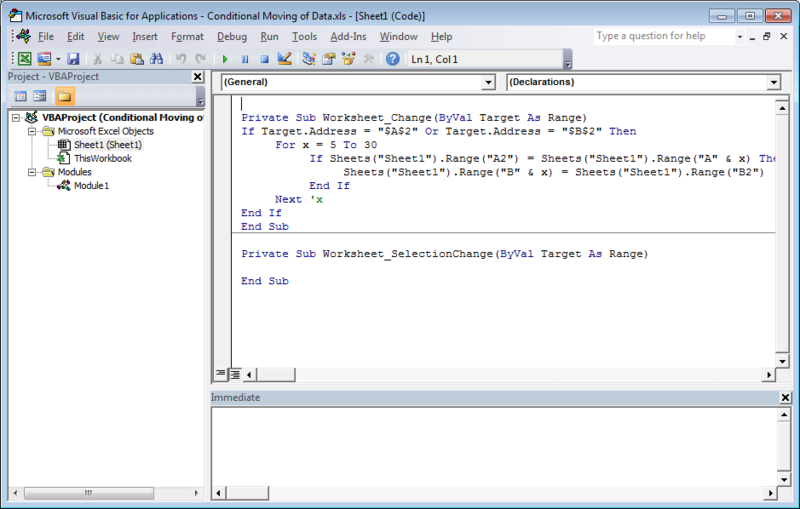 I have been recently asked how you can move data conditionally on an excel spreadsheet once the information has been obtained from the PLC? 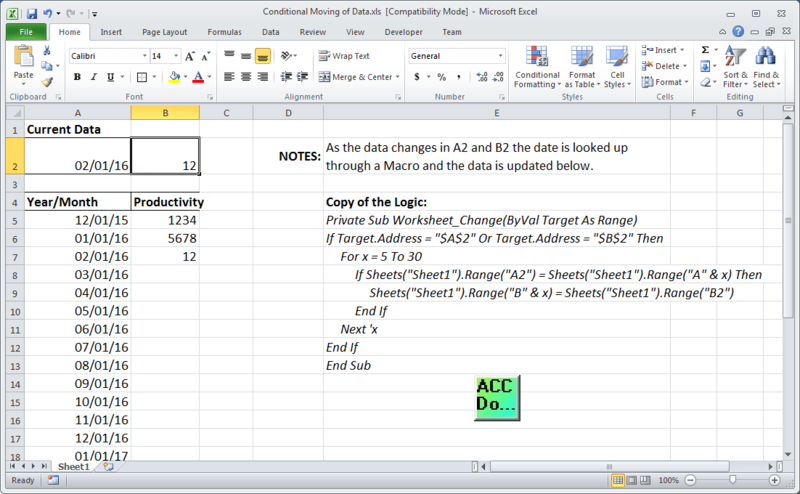 Monthly data was being collected from the PLC and put on an excel spreadsheet using Omron CX-Server DDE. They wanted at the beginning of each month to move the data to the appropriate month so they can track the changes. 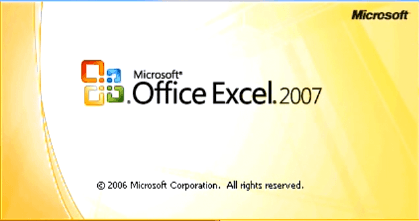 Download the example excel file.